Derived from the oil found on the down of emus, this alternative medicine supplement can be used to help treat minor health ailments and for the promotion of overall good health. Emu oil is usually available in the form of a liquid extract. However, you should be aware of the possible side effect associated with emu oil. Before using this or any supplement for the treatment of any disorder or condition, be sure to speak to a medical professional for more information. While there are no documented side effects for emu oil that can be linked to a severe adverse reaction, EmuOilGuide.com does suggest that women who are pregnant or may become pregnant steer clear of this supplement. Emu oil that's ingested can be passed from mother to fetus during pregnancy, and even through breast milk. As a result, it is recommended to speak to a medical doctor regarding the possible use of emu oil and how it relates to pregnancy. Another concern is where the product ingredients originate from. For example, EmuOilGuide.com notes that some mainstream supplement products claiming to contain emu oil can contain little to no amount of the supplement at all. Furthermore, the website suggests that the oil found in some products does not originate from the emu bird. Taking these unknown ingredients can lead to numerous side effects, some of which may be toxic. Therefore, be sure to speak to a licensed alternative medication professional or nutritionist to determine the effectiveness of any product you are thinking about adding to your dietary regimen. 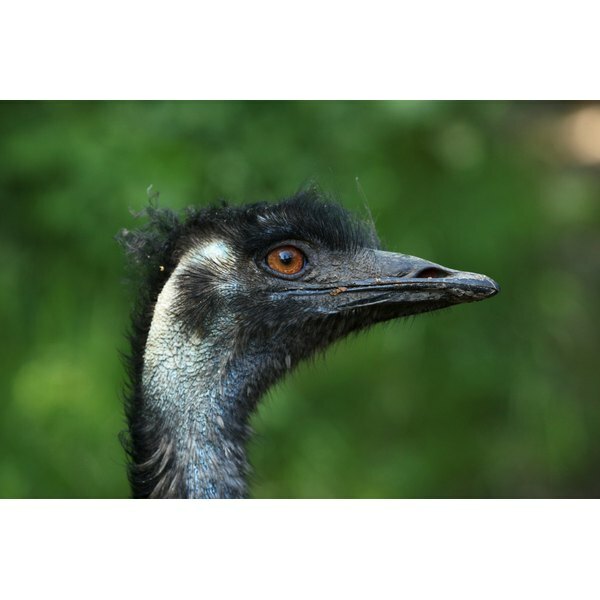 Emu oil can cause skin irritation in some people when applied to the skin as a topical ointment. According to Drugs.com, emu oil can be found in many lotions and skin topical treatments. These emu oil lotions also often contain other ingredients, usually to add fragrance or color. Speak to a medical doctor or dermatologist to determine if any product ingredient can cause an allergic reaction.